We are all born into this world as natural learners with curious minds. This is often no more apparent than in our very early years, when it’s natural to be completely in the moment of coloring, painting, singing, dancing, and imagining. And every parent who has been subject to a never-ending string of “why” questions, or had a walk to the park turn into a visit with every butterfly, flower, and blade of grass, knows there’s seemingly no bounds to your child’s curiosity. As we grow older and develop more of a sense of self-consciousness, it’s especially important that we don’t lose this sense of wonder and interest in the world around us. Growing up, getting a job, and becoming a responsible member of society is very important — but at Hope, we know that this also isn’t the only purpose of an education. We believe in encouraging our natural love of learning because an intellectual curiosity is what keeps us learning and developing all throughout our lives. Our commitment to the fine arts, then, is a natural fit. Feeding our students’ creativity may not mean they grow up to be an artist in the traditional sense — a painter, a dancer, a musician, a writer. 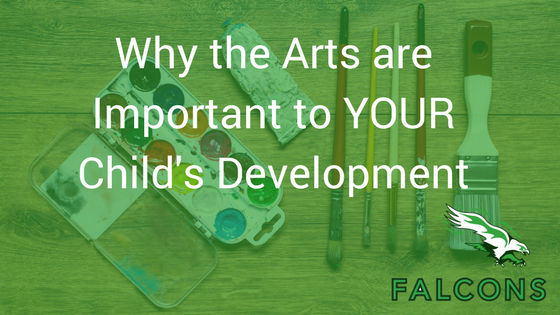 But whether they take those paths or not, the arts are vital in developing children’s critical thinking, analysis, and problem-solving skills, and the processes and creativity they learn exist in every occupation, from scientist to salesperson. Children who are allowed to experiment with art feel more free to make mistakes, which leads them to feel free and open to new ideas and ways of thinking and problem-solving. The arts allow them to express themselves in both verbal and nonverbal ways, as well as learn about others and develop empathy. It also means that they are being encouraged to manifest something from an idea to a realized creation. And when they have a positive experience while creating, they feel good about themselves and grow self-confidence. All of these skills are ones we want to develop in our students, as they are vital life skills. Our daily lives are series of problems to be solved — from logistical ones, like finding time to drop our kids off at school, go to work, pay our bills, and feed our families, to unexpected ones, like how to handle a leaking roof or a complicated family relationship. Critical thinkers, problem-solvers, and lifelong learners are able to see the big picture, think beyond the situation at-hand, and attain their highest goals — all thing we want for our students here at Hope Leadership.